Ezra Rachlin (born 5 December 1915 in Hollywood, California USA died aged 79 on Jan 21, 1995 in London UK) took up conducting when in his twenties after a meteoric worldwide career as a pianist. His piano teachers were the finest of their time, all legendary names in the golden age when Ezra was growing up – Moritz Mayer-Mahr, Leopold Godowsky, Joseph Lhevinne, Moritz Rosenthal, Josef Hofmann, Sergei Rachmaninov. He studied conducting with Fritz Reiner at the Curtis Institute of Music where his classmates included Leonard Bernstein, Gian Carlo Menotti, Samuel Barber, Leonard Rose, Lukas Foss and Leonard Pennario. In 1939 he was appointed Musical Director and Conductor of the Philadelphia Opera Company. From 1946-1949 Rachlin was personal conductor and accompanist to Lauritz Melchior the great Danish tenor, conducting for him on all his world tours. 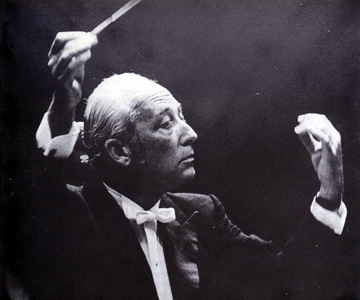 From 1949-1969 he held the post of Musical Director and Conductor of the Austin Symphony Orchestra in Texas. A close association with Leopold Stokowski led to his engagement as permanent Guest Conductor of the Houston Symphony Orchestra where he was appointed Musical Director and Conductor of the Houston Summer Symphony series from 1958-1965. In addition he was in charge of the Fort Worth Symphony Orchestra from 1965-1971. 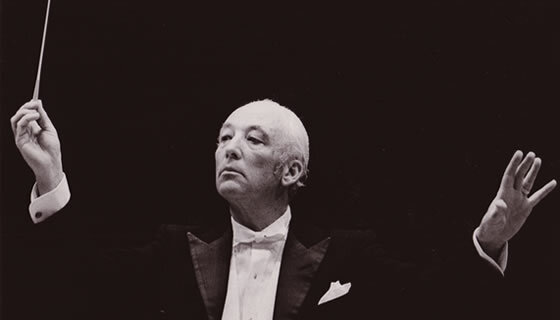 After three years as Chief Conductor of the Queensland Symphony Orchestra (Australia) 1970-1972, where he also conducted the other Australian orchestras of the Australian Broadcasting Commission, Rachlin relinquished his post to devote himself to his free lance commitments in Europe, Latin America, Israel and the USA. Returning to the UK, Ezra Rachlin conducted the London Symphony Orchestra in a series of recordings that won him a Golden Disc and performed as Guest Conductor with the Halle and the Philharmonia Orchestra. Ezra Rachlin died of complications following vascular surgery aged 79 in St Mary’s Hospital, London on January 21st 1995. He is buried in Hoop Lane Jewish Cemetery, London. He is survived by his wife Ann, son Michael and three step-children Jan, Trisha and Max Ziff and several step-grandchildren. These Art-Deco designs were drawn in pen and ink and pencil by Ezra aged 16. They were found in an old suitcase after his death. He always maintained he could not draw!